Hosted by prominent worldwide provider of vacation services Interval International, the 19th annual International Shared Ownership Investment Conference attracted hundreds of delegates from more than 20 countries. 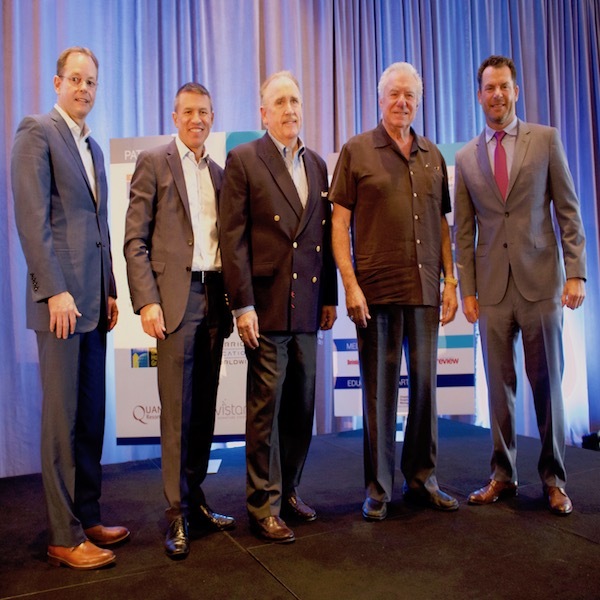 The three-day event, which took place last week at the Eden Roc Miami Beach Resort, offered a comprehensive program with nationally recognized speakers. Presenters included renowned strategist and The New York Times best – selling author Jay Baer; president and CEO of Norwegian Cruise Line, Andy Stuart; and president and CEO of the American Resort Development Association, Howard Nusbaum, among others. A conference favorite, View from the Top, revealed insights from a panel of leisure industry leaders on how to navigate and capitalize on changing market conditions. In addition, conference participants enjoyed access to a variety of educational and networking sessions, along with complimentary research studies. Photo caption: View From the Top moderator and panelists gather during the 19th Annual International Shared Ownership Investment Conference in Miami Beach, Florida. Pictured left to right:Tom Nelson, president and CEO, Holiday Inn Club Vacations and Orange Lake Resorts; Andy Stuart, president and CEO, Norwegian Cruise Line; David Gilbert, president,Interval International; David Siegel, president and CEO, Westgate Resorts; and Mike Flaskey, CEO, Diamond Resorts International.